BAT - BLOG : BATMAN TOYS and COLLECTIBLES: New Look at #BATMAN RETURNS #CATWOMAN Statue by Tweeterhead! New Look at #BATMAN RETURNS #CATWOMAN Statue by Tweeterhead! 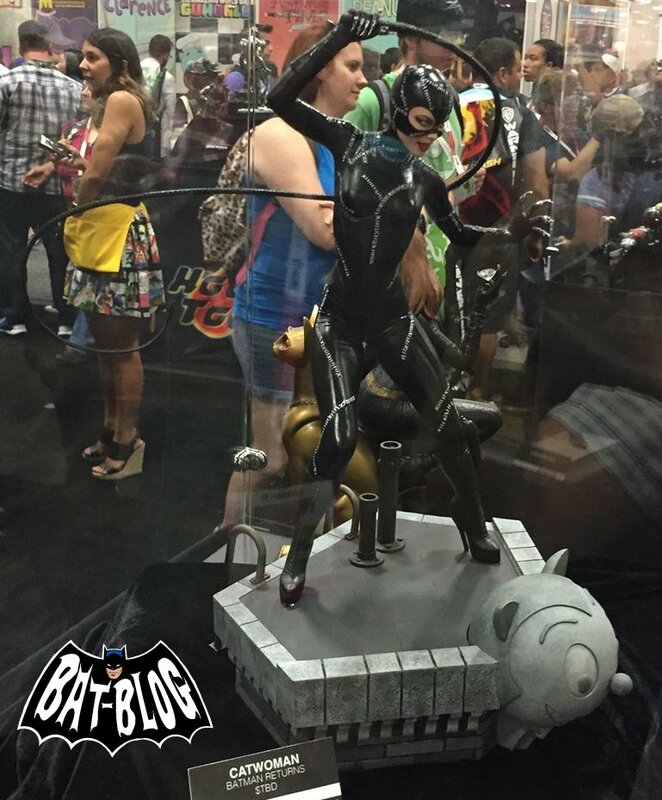 Here's a fresh new look at the 2016 CATWOMAN Maquette Statue that TWEETERHEAD will be coming out with later. Of course this is the "Michelle Pfeiffer" Version from the BATMAN RETURNS Tim Burton Movie. We already wrote about this brand-new product here at the BAT-BLOG awhile back, but this is a super-new pic of the actual product that just surfaced and I knew I had to share it because it is INSANE!! For more info on this just CLICK HERE to visit their website. I gotta warn ya though, before you fall in love this statue is pretty expensive, ha!